Foodservice Gateway » Lindt premium range ensures your customers are spoilt for choice! 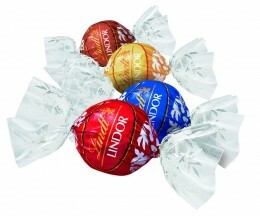 Lindt premium range ensures your customers are spoilt for choice! We all know how many customers find chocolates and sweet treats irresistible. Now with the new Lindt foodservice range of quality chocolate and dessert snacks, you’re able to offer the very best and keep your customers spoilt for choice! When it comes to chocolate, the Lindt name stands among all others as signifying premium quality – its master chocolatiers have been crafting the finest chocolate since 1845. Thanks to the Lindt foodservice range, you can offer customers the premium indulgence of masterfully crafted chocolate and exquisite dessert snacks, all conveniently packaged in portion control and catering packs. Lindt Lindor Ball: A luscious chocolate shell with irresistibly smooth filling, the iconic Lindor ball is a chocolate masterpiece exemplifying the craftsmanship, innovation and quality of the longstanding Lindt tradition – wrapped in brightly coloured foil signifying celebration and indulgence. Available in white, milk and dark chocolate with centres including mint and hazelnut, Lindor Balls are ideal for cafes, restaurants, hospitality welcome packs and minibars, event catering, coffee lounges and much more. Lindt Excellence: Bearing all the hallmarks of the finest quality chocolate, Lindt Excellence is delicately thin and features the earthy flavour of perfectly roasted premium cocoa beans. Flavours range from classic to exotic and the product is available in both 5.5g single serves and 35g impulse size, ideal for functions, special events, cafes, restaurants and more as an end of meal offer, with coffee treat, as part of a hospitality welcome pack, giveaway or reward and more. Lindt Petites Pâtisseries au Chocolat: A unique range of exquisite cakes inspired by classic dessert recipes, the Lindt Petites Pâtisseries au Chocolat selection features the finest Lindt chocolate combined with premium ingredients to produce cakes of exceptional quality. Intensely flavoured and with an unmistakably European pedigree, they’re sure to be in demand for morning and afternoon teas, as the conclusion to a set lunch or dinner and for restaurant/room service, casual and fine dining, on the café menu and for function catering, pubs and clubs and more. Lindt Delice: Sweet macaroon indulgences made from two small mounds of melt-in-the-mouth almond meringue sandwiched together with rich soft cream filling, Lindt Delice makes an attractive and flavoursome accompaniment to coffee, tea or hot chocolate and a premium alternative to traditional biscuit-based offerings. Available in six flavours from chocolate and vanilla through to strawberry and salt caramel, the Delice range is sure to satisfy even the most discerning of customers and keep them coming back. All Lindt foodservice products are available in portion and bulk cater packs. 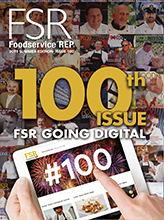 For full details of the new foodservice range, including a brochure outlining all available products and order codes, contact Lindt on (02) 8268 0057 or email foodservice-au@lindt.com.